Charlie Dates leads the revitalized Progressive Baptist Church in Chicago. It’s hard work to plant a church in Chicago. Jon Dennis planted Holy Trinity Church 18 years ago. He agrees church planting in Chicago is hard, but his assessment is more optimistic. The city has its own church planting heroes, Dennis said, pointing to New Life Community Church and its 24 church plants since 1986. There’s also James Meeks, who started Salem Baptist Church in 1985; the church now tops 15,000 members. But most of Chicago’s church planting has been done in the last decade or so. Part of that growth stems from the Southern Baptist Convention’s (SBC) North American Mission Board (NAMB). 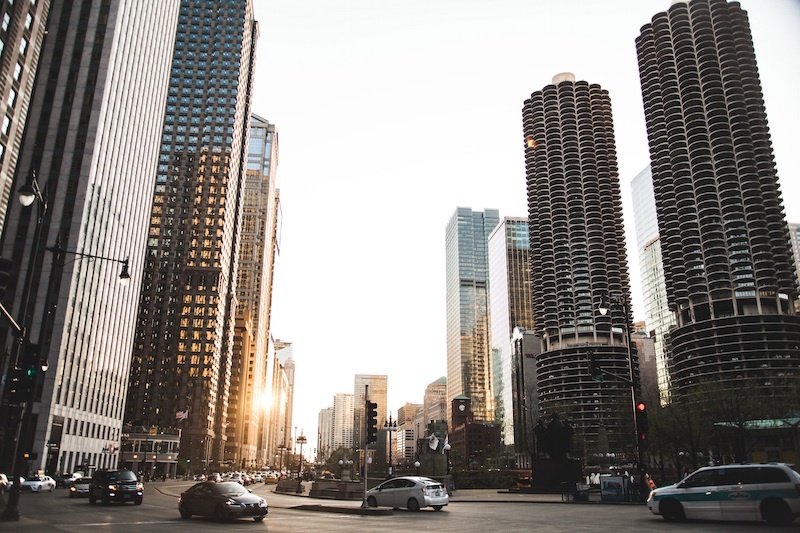 Recently, the SBC’s church-planting wing bolstered its staff and care for Chicago planters as part of its SEND Cities campaign, which seeks to plant churches in North America’s 32 least-reached cities. “Especially in the last five to seven years, our assessment process has improved drastically, which helped with the retention rate for our plants,” said Chris Wright, who oversees NAMB’s church planting strategy and vision in Chicago. In Chicagoland alone, NAMB has a relationship with 32 active church plants—two-thirds of which are in the city. Wright believes the vast majority will survive. A number of factors make the Windy City’s ground relatively hard, such as a post-Christian culture, neighborhood segregation, and racism. But a growing number of church planters are hopeful that healthy churches can persist, despite the difficulties. NAMB estimates only 3 percent of Chicagoland’s 9.5 million people are evangelical. Chicago is historically more Roman Catholic, owing to its immigrant populations from Ireland, Germany, Poland, and Italy. By the end of the 1940s, both the closing of stockyards and meatpacking plants and the burgeoning civil unrest over racial issues sent many to the suburbs. Around the same time, African Americans from the South moved north during the Great Migration, and with them brought larger exposure to Methodist, Baptist, and Pentecostal denominations. Before long, due to the influx of African Americans, the growth of enormous Baptist churches, and the birth of gospel music in the city’s South Side, Chicago became a “black church mecca,” said Charlie Dates, pastor of a fast-growing black church of 1,500 members. Chicago’s Catholic heritage has persisted, but few Catholics are active churchgoers. In fact, Chicago Magazine recently reported that for every 10 Catholics in Cook and Lake counties, there are four ex-Catholics. But the Catholic Church also left a gift: their model of neighborhood churches. Having a church down the street builds a sense of community, which attracts non-believers, he said. Keeping churches community-focused works well in cities like Chicago. “[Chicago] is a cluster of tribes,” said Mark Jobe, who restarted the non-denominational New Life Community Church 30 years ago and has since planted 23 congregations. From the young white professionals in Lincoln Park to the Mexican migrants of Little Village to the black grandma in Roseland, each of the 77 neighborhoods is distinct. New Life expanded by planting or restarting smaller neighborhood churches. Their largest single gathering is about 1,500, but the rest are somewhere between 100 and 300. Fulton and his wife started their Missio Dei plant three years ago in Lincoln Square, where most of the population is young, white, and white-collar. Before opening the doors, he spent a year embedding himself in Lincoln Square, praying over every block and getting to know people. Similarly, before starting Holy Trinity Church, Dennis “apprenticed” himself to a friend who’d grown up in the city. Jobe believes neighborhoods are distinct enough to warrant different church plants, even when they’re nearby. New Life has congregations in bordering Lincoln Park and Lakeview, less than two miles apart. Different demographics and population density mean both can thrive. He advises going a step further, and matching church planters with a neighborhood that fits them. But Jobe is clear: tossing a white, middle-class kid who didn’t grow up in Chicago into an African-American neighborhood introduces barriers to church planting. Chicago neighborhoods are divided by both income and race. Chicago’s North Side is primarily wealthy and white, while the South and West Sides are predominately poorer and Hispanic or African American. Even though Chicago began with a good track record on race—the Chicago Tribune was so outspokenly abolitionist some blamed it for helping to bring on the Civil War, and in the late 1800s Illinois had some of the best anti-discrimination laws in the country—it hasn’t stayed that way. The influx of African Americans from the South settled mainly in the city’s South Side, and stayed there. The problems of the 1960s—violence, poverty, and poor education—stayed, too. And while there has been some improvement, Chicago’s neighborhoods remain among the most segregated in the nation, the Tribune reported. Racial and socioeconomic segregation in Chicago brings challenges for any church planter, but it also provides opportunity. In the late 1990s, he helped start Holy Trinity Church in Hyde Park, a racially diverse oasis of wealth and education near the South Side’s University of Chicago. His white church-planting team had been sent from College Church, located in the affluent suburb of Wheaton. Charlie Dates embraces the need to plant churches, but he doesn’t want newly trained pastors to forget about established churches that have existed in Chicago for decades. When young seminary graduates tell him they want to plant churches in Chicago, he wonders why they’re turning away from the congregations that are already established. After studying under both TGC Council member K. Edward Copeland at New Zion Baptist Church and Meeks at Salem Baptist, Dates became pastor of Progressive Baptist Church. He led the 95-year-old church to add 700 members the last two years. Dates is doing his part to train up future pastors of old churches. Progressive recently started a renewal residency program, where seminary students “learn everything they can from us, good and bad, about church revitalization.” The goal is simple: sending the young pastors into declining, historic African-American churches all across the country. Starting a church in Chicago is one thing, but cultivating health requires a unique mix of patience and wisdom. Well-worn “church growth” strategies simply don’t work. Choi’s churches are close to the city center; they’re full of young people, those traditionally assumed to be attracted by big screens and smoke machines. Those who live in the city are more likely to be skeptical and jaded. “But at the same time they have the same hopes and longings as anybody else,” Choi said. So if church-growth strategies don’t work, what does? Dennis said prospective pastors who move to Chicago must be trained for the diverse urban context. He said they need both cultural latitude and an ability to confront pluralistic religious and ethnic perspectives. “It requires a deep understanding of other people’s points of views and a re-articulation of the gospel,” he said. Perhaps more crucially, church planting in Chicago requires prayerful patience. But across the board, church planters said the most important ingredient is prayer. 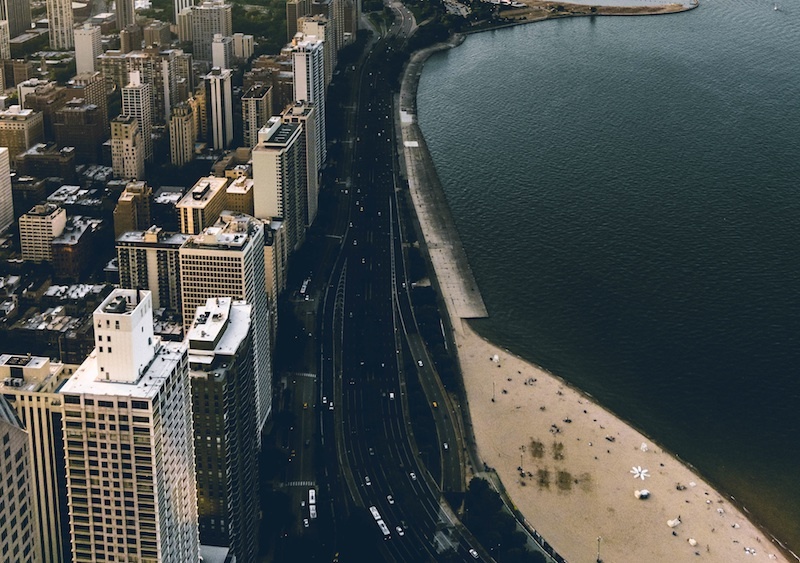 Church planting in Chicago is both frustrating and exciting—and the need remains great. That’s something the Chicago Partnership for Church Planting (CPCP) is working on. Each year, the seven-year-old organization offers grants from $6,000 to $50,000 to Chicago church planters. The CPCP is “rebooting its ministry and focus and has a vision to see new and revitalized churches throughout the neighborhoods of Chicago,” Dennis said. And slowly but surely, seeds are taking root. All of the 12 churches it’s helped to plant over the past five years are still alive. Two have added second gatherings to accommodate growth. Another new initiative, the Chicago Church Planting Alliance, will meet for the first time in March, said Ed Stetzer, interim teaching pastor of Moody Church and executive director of the Billy Graham Center for Evangelism at Wheaton College. Just like anywhere else, planters in Chicago need support.